. Published on June 1, 2018 . A recent study found that one pillow can have as many as 350,000 bacteria colonies and 91,000 yeast and mold colonies. While many of these are relatively harmless, some can result in nasty side effects. Keep you and your family safe and healthy by caring for your pillows in a way that will keep them clean and long-lasting, so you can continue to get the best sleep possible. Start by finding material that naturally fights harmful bacteria. Bamboo pillows and pillowcases are a good investment because bamboo naturally repels odors, allergens and other germs. According to Cariloha, bamboo is essentially a huge “No Vacancy” sign posted on an impenetrable wall to bugs and bacteria. High-quality bamboo pillows also won’t use harsh chemicals or pesticides and can help prevent skin irritations that can flare up with other chemically treated fabrics. You should aim for washing your pillows every six months or so. Regardless of the material inside your pillow, you should generally wash them by hand or use a gentle cycle on a washing machine. 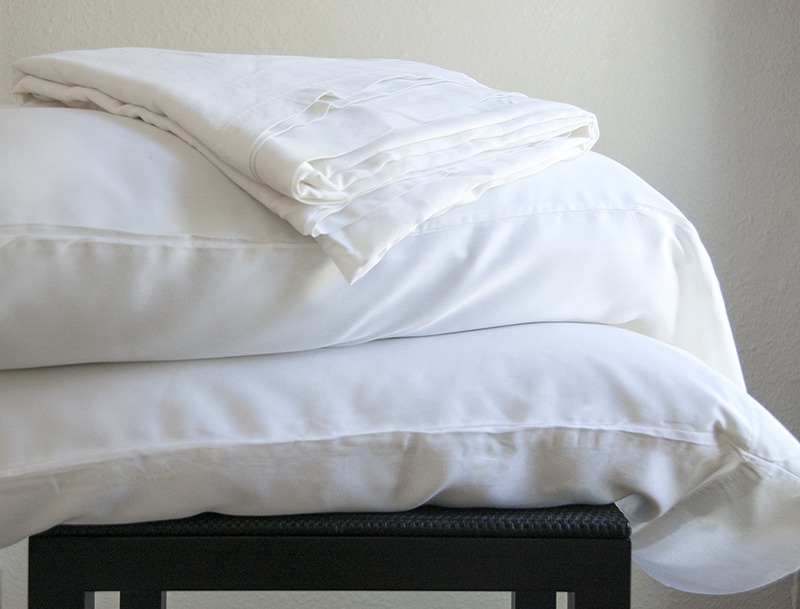 If you use a machine, wash your pillows in pairs to keep the machine balanced and prevent damage. Use warm water and a gentle cleanser — liquid cleanser will leave fewer residues than powder — to scrub your pillow. A cold water rinse will ensure all the cleanser has been washed out. As you wash, be careful not to rip or tear the pillow. One of the most important parts of cleaning your pillow is to dry it completely. Moisture can lead to mold and other harmful bacterial growth. Your best bet is to air dry it with a fan, but you can also put it on a gentle tumble cycle in the dryer. If you choose to use a dryer, add a tennis ball wrapped in a sock or an old towel in with your pillows to keep them fluffy. You may use high heat, but for no longer than 20 minutes. More time in a hot dryer will likely damage your pillow. As you sleep on your pillow, check it regularly for spots you can wash off. Dried makeup, skin particles and dust can take a toll on your pillow and lead to an increase in germs. You can use the upholster addition on your vacuum to help with this or a warm washcloth — just be sure to dry it completely when you’re done.